Many writers would have heard the phrase: “write what you know”. It assumes that before you start writing about a situation, a place, or a particular aspect of life, that you have enough knowledge to describe it, and relate it to the characters’ lives. Some people assume that just because you’re writing fiction, you can make everything up, but that’s not completely true. Sure you may be writing about people that only exist in your imagination. But what if you want to write about a character that moves to a new city, a real one that you’ve never been to? How do you write about that place convincingly? How would you put yourself in your character’s shoes and describe that experience to the reader? You would have to research, of course! Preparation and planning is an important part of writing a novel, and part of the preparation is doing relevant research and collecting important information that helps you strengthen your ideas and portray them truthfully and logically. 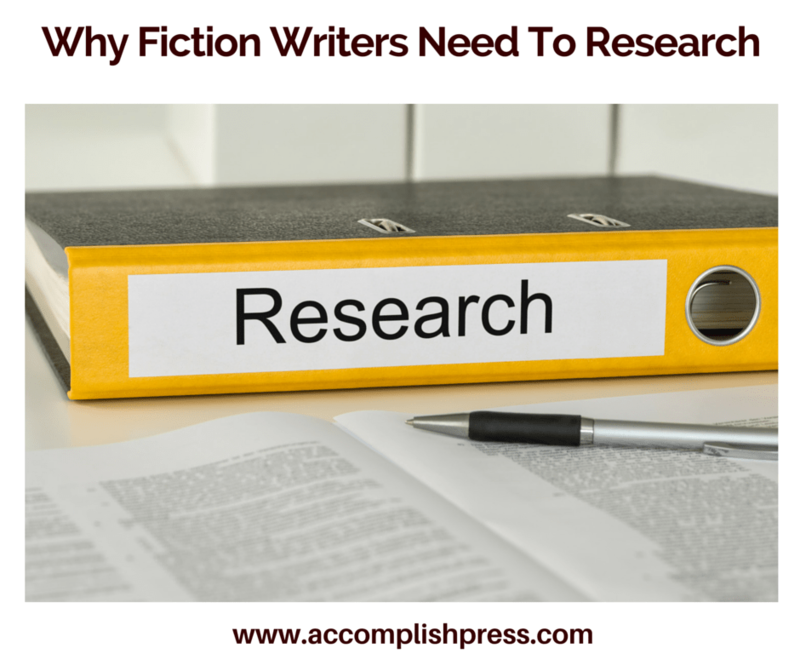 When writing fiction, there are many aspects of your story that require research to make your story as believable and as realistic as possible. Most fiction writers, even if they are writing purely from their memory, still have to do “internal research”, that is, checking their own collection of memories, sights, sounds, feelings and imagination. However, there will be things that you need to step outside yourself to discover. If one of your characters is dealing with a medical condition that you haven’t personally experienced, it will require you to research and find out as much as possible about the condition, and how it affects not only the individual going through it, but also the people around him or her. You might have to learn a lot of medical jargon, you might have to learn names of procedures, treatments, drugs and so on. What if your protagonist was a lawyer, who specialized in Maritime Law? There’s a lot of information that you, as the author would need to know even if his career is not a huge part of your story. The character’s personality would be influenced by what they do, such as how they dress, the places they go to, the people they meet, how they speak and their views of the world. Of course some genres require more research than others. Historical fiction for example, would require a fair amount of research to ensure that things like events, places, people, culture, technology and speech are as accurate as possible. It would be totally out of place, if a character was speaking on a mobile phone in a novel set in 1930! Authors writing mysteries, legal thrillers or detective stories need to know a lot of information about crimes, implications of crimes, how the legal systems in the character’s location works, real court procedures, how detectives gather evidence and much more. Even speculative genres like Fantasy and Science Fiction need research. Although a sci-fi story may be less “realistic”, even hypothetical settings and situations require a knowledge of existing scientific research and technology. If a story was set in Antarctica in 2050 and there was an issue with global warming affecting the characters, the author needs to know how to weave those elements into the story convincingly. If the story takes place in a spaceship or on a submarine, there needs to be a good knowledge of these settings to back up the story. A good writer would not just make stuff up that don’t make any sense to the reader. Writers can use many different methods to do their research. Nowadays, the internet has provided a lot of free online tools for research, with search engines giving us tons of information literally at our fingertips, and sites like YouTube giving us access to videos of places and experiences. The ease of this research means writers can convincingly describe a place, even if they have never been there before! However, there’s still something to be said for actually travelling to locations to hear the sounds, see the sights and walk the same streets as the character you’re writing. Apart from online research, many writers still employ “oral research” by asking questions and interviewing people about their personal life experiences. What better way to learn about cancer, than from a cancer survivor himself? His insights and personal experience of the subject will give a richer story than if you just plucked the details of the illness from Wikipedia. Visiting a library to collect facts and data about a subject is also another way that writers do research, and the wealth of information available in a good library is often more than enough to educate anyone on any topic. So, when is the best time to carry out research? Some writers say they do research before they start writing the story, so that they have all the information they need as they are writing. Some writers say they only do research after they have written the first draft, because that’s when they are clearer on the story and know exactly what kind of details need to be added to flesh it out. And others say they research as they go along, adding background details as necessary. Whichever method is fine, as long as the time spent researching does not mean the writer is avoiding the story and is in effect, procrastinating! Writers should also be careful not to let the researched facts overwhelm the story. If you’re writing fiction, the focus should be on the characters and plot, not on how many facts you can cram into each paragraph of your novel. You don’t want to come across to your reader as a show-off, and you don’t want your story to be squeezed out by unnecessary facts that make it become boring. As important as research is, that knowledge is for the writer to produce a better, well told story. No fiction writer can completely escape reality, and no fiction novel is ever devoid of some real life facts. Are you writing a novel (or planning to write one)? Do you need some help to kickstart the writing process so that you can start writing confidently within just 5 days? Then this brilliant mini-course is just for you! Click here to find out more. I totally agree. Perhaps your protagonist lives in a city you have never visited. In order to make your setting more realistic you must know about where your story is set. Readers will find mistakes and it may hurt your credibility. Make sure to do that research. Hone your skills and pay attention to detail.